We'd like you all to meet Kevin he is only young, around two years old, rather underweight, not that you can tell from his fluffy coat, and appears to have a nasty sore on his gum line. His hooves are overgrown and there is no microchip present. 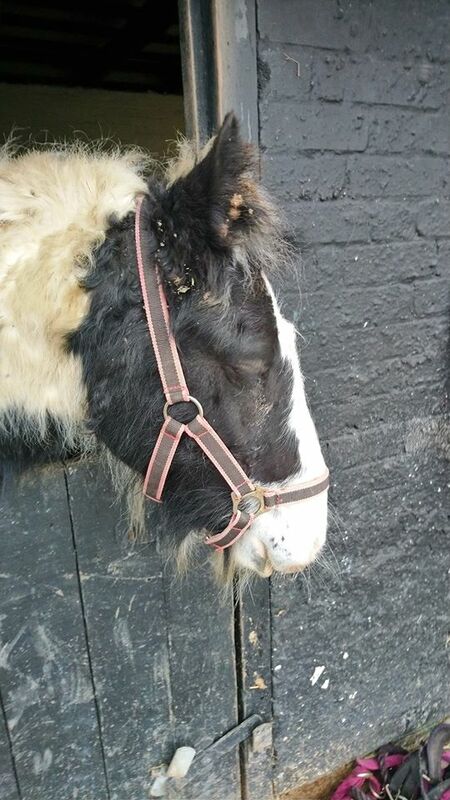 He has clearly had handling in the past and is happy to be headcollared, led and have his hooves picked up. This little colt had been running loose with another horse dodging cars in his area for a few weeks until someone took him in to keep him safe - we don't currently know the whereabouts of his companion. 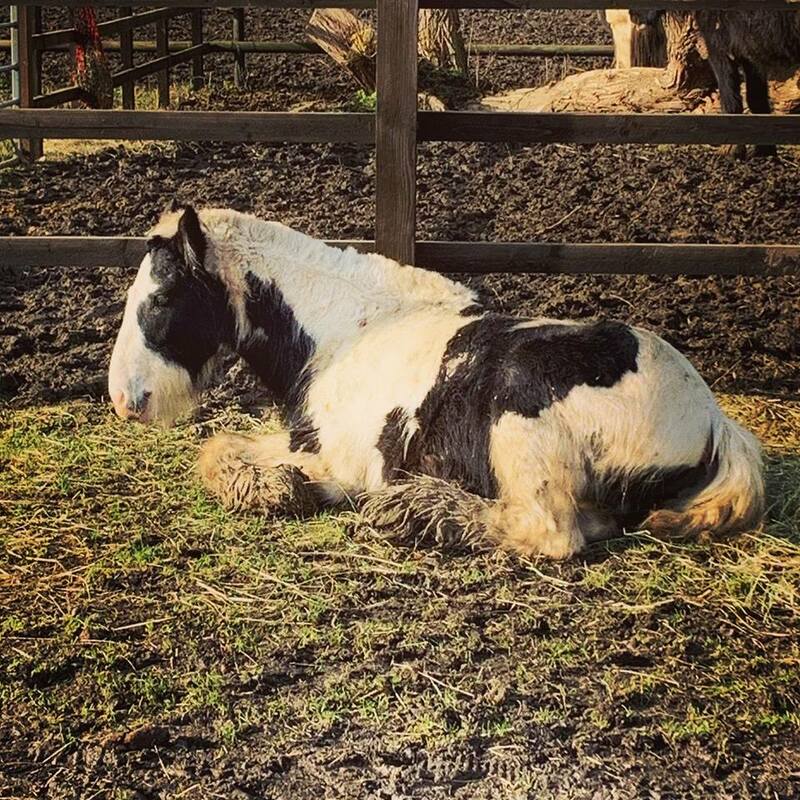 Thanks to an incredible amount of support with our winter foster scheme this year and with the sad loss of two of our elderly residents last month we were able to make space for him at the sanctuary. Little Kevin had his bloods taken for testing along with a general check over by the vet. He believes Kevin to be around 2 1/2 years old. The results came through showing he has raised AST and GGT levels and has been diagnosed as suffering from slight liver damage. He will be on daily milk thistle supplements and will be retested in 4-6 weeks to see if there is any improvement. Please keep your fingers crossed that this little chap improves over the next few months. Kevin has settled well into sanctuary life. He is such a sweet little man despite his grumpy face pulling. He is eating large quantities of hay, continues to have his daily dose of milk thistle in his feed to aid his liver. 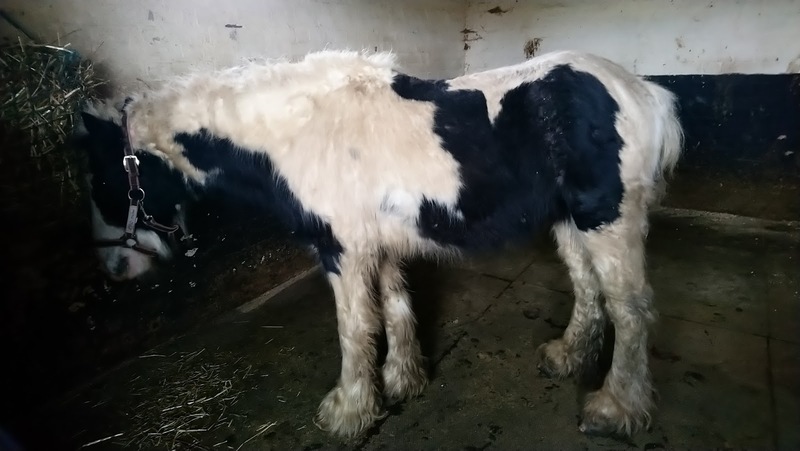 Earlier this month he was admitted into the care of our vets for a liver biopsy - this will determine the cause of his liver issues and enable us to administer the correct medication to help heal him. On top of that he was also castrated. 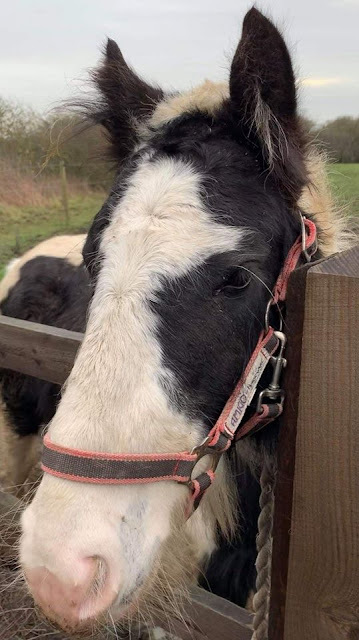 You can meet Kevin and the other rescue ponies this Sunday 7th April at the Essex Horse and Pony Protection Society's first open day of 2019. We are open Sundays and Bank Holidays between April and September from 11am - 4pm and October to December (Last Sunday before Christmas) 1pm - 4pm. Entry is £2 for adults and £1 for children or free on presentation of your current membership card. The Sanctuary operates a strict No Smoking Policy throughout the site. Dogs are welcome but must be kept on a lead and under the owner's control at all times. *We do not pre-book Groom a Pony sessions, but take bookings on the day. YOU CAN SUPPORT HORSES LIKE KEVIN BY BECOMING AN EHPPS MEMBER TODAY! Our Paypal link is administrator@ehpps.org.uk or, alternatively, you can apply by post to: Memberships, Essex Horse and Pony Protection Society, Pitsea Hall Lane, Basildon, Essex SS16 4UH - cheques should be made payable to "EHPPS".